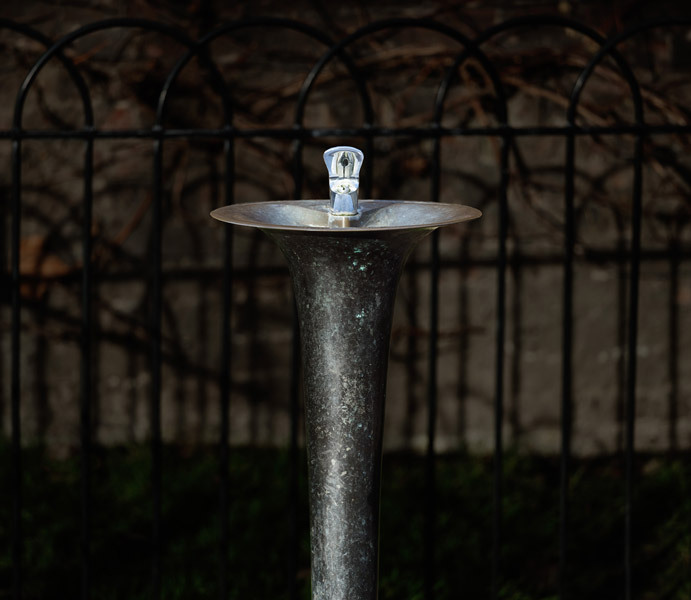 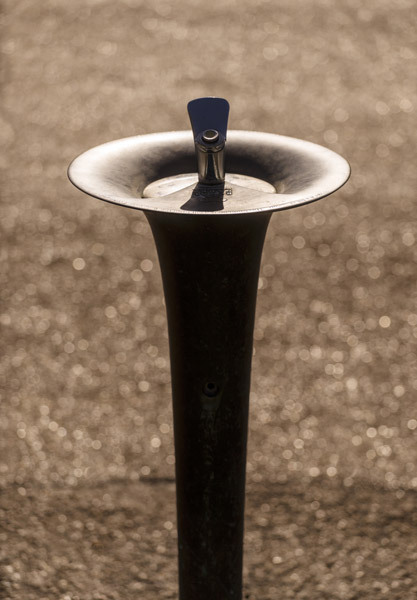 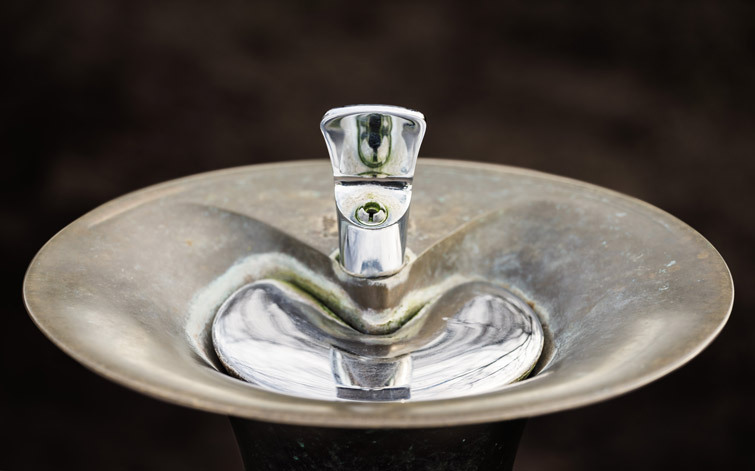 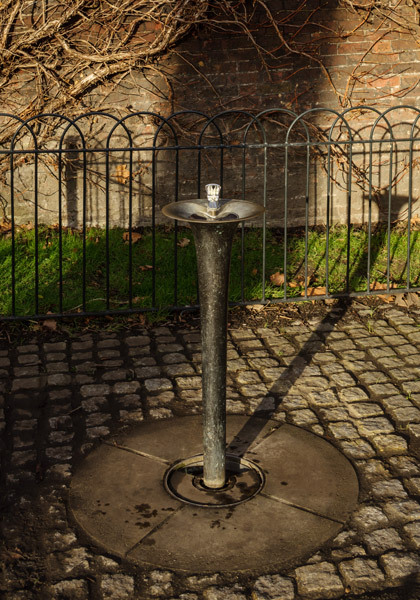 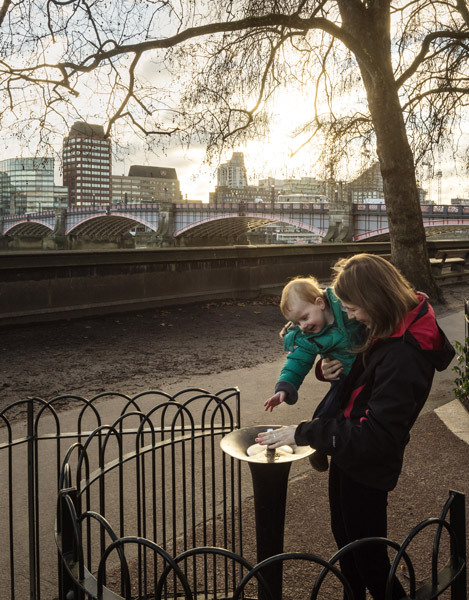 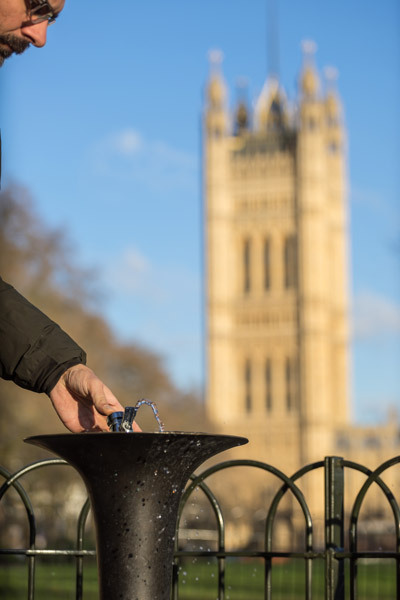 The Royal Parks Foundation Drinking Fountain commission was won by Moxon Architects in 2010, a sculptural and elegant structure that is also highly functional. 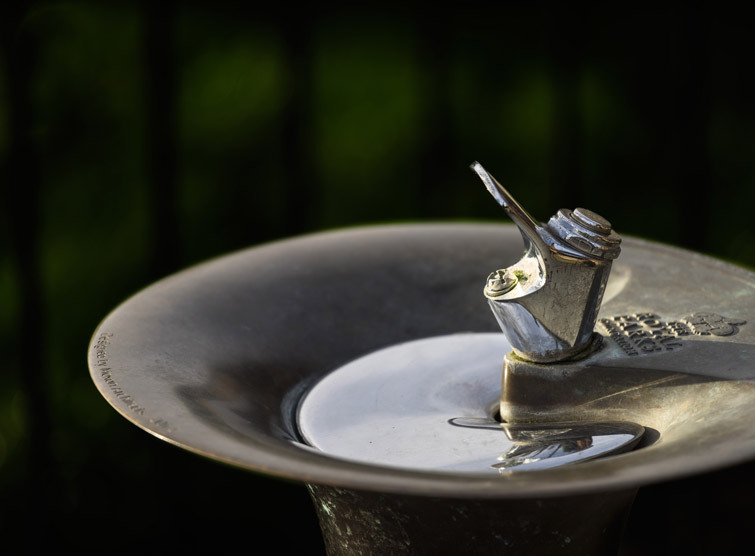 The refined, flared shape of the body of the design is evocative of natural forms, and appropriate to its siting. 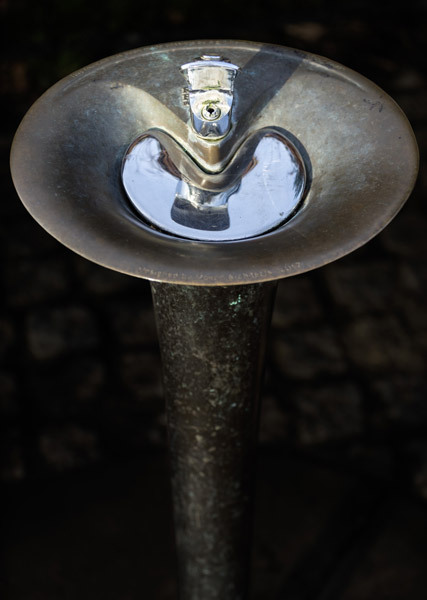 The movement of water from its supply to draining away is carefully considered, as is the construction of the work, which consists of a minimum number of parts that can be efficiently joined to one another.